Action Alert: Trailside Needs Your Voice! 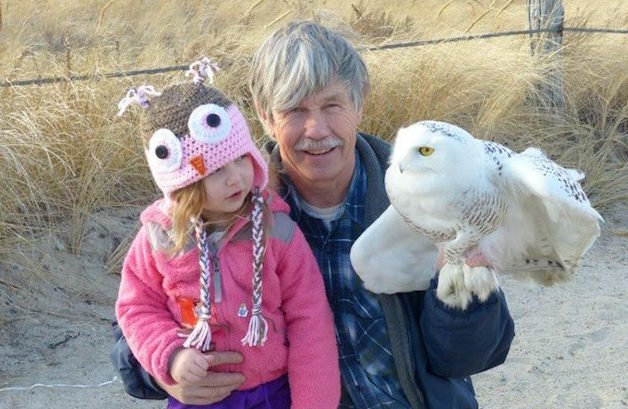 Posted on February 13, 2017 by Hillary T.
Norman Smith, director of Blue Hills Trailside Museum, with his granddaughter and a snowy owl. Once again, Blue Hills Trailside Museum in Milton needs your help. Governor Baker recently cut the $500,000 committed to Trailside for its current fiscal year. On top of that, he did not propose any money for the museum to operate for the next year. We’re working to restore funding but we need your help to do it. Call your local state legislator and tell them what Trailside means to you. Better yet, write them a letter. We’ve been told that a handwritten letter is even more powerful than a phone call! My name is ________ and I live in ________. I was very disappointed to hear that funding has been cut for the Blue Hills Trailside Museum. [Include personal story here, for example, My daughter went to camp for years and learned to appreciate nature because of their program. Or I remember visiting Trailside as a child, and now I look forward to bringing my children to watch the otter and see a snowy owl up close.] Please restore full funding for Trailside Museum so they can continue their important efforts. Once you’ve done that, we’d love it if you would share your personal connection, photograph, or drawing and tagging our Facebook and/or Twitter accounts using #fundtrailside. In response to Baker’s budget cuts, Mass Audubon has found it necessary to reduce services and personnel at the Blue Hills Trailside Museum. With your help, we hope to restore funding for the operation of Trailside. Thank you! This entry was posted in Get Involved and tagged blue hills on February 13, 2017 by Hillary T.. Please do all you can to help keep this great place going !! !